School Days. Mario, Luigi, Peach, and margarida during school days.. HD Wallpaper and background images in the Mario and pêssego club. 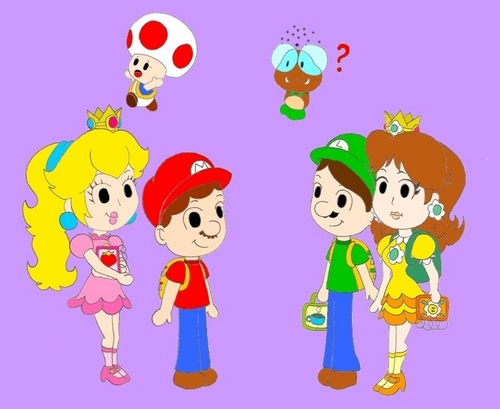 Mario, Luigi, Peach, and margarida during school days.